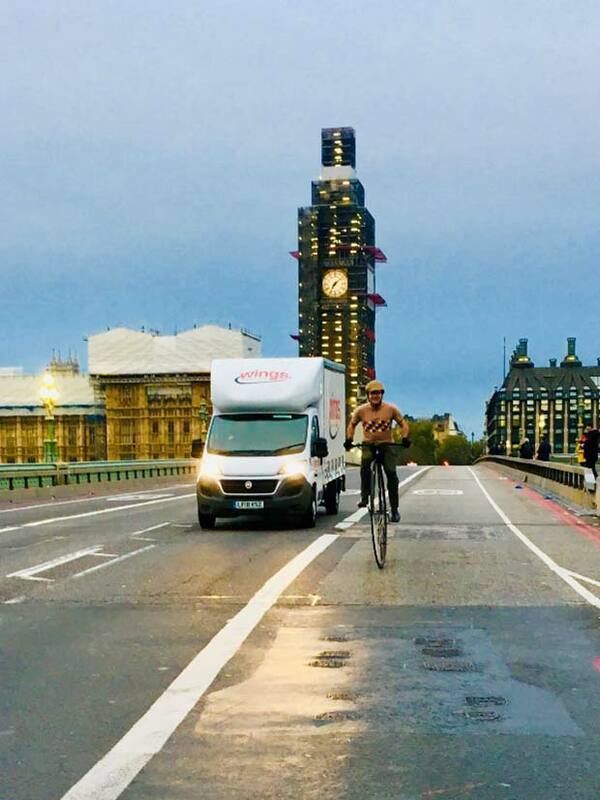 After months of training Mark Bayliss (41) climbed on top of his penny farthing cycle at sunrise on Sunday 4th November in Westminster and headed off to Brighton on the 122nd Veteran Car Run. This annual event of vintage vehicles sees a colourful sight of cars, bikes and cycles with drivers and passengers dressed in period costume. Mark from Caterham had wonderful support from the crowds along the route with many foreign tourists looking with disbelief at the whole affair. Mark’s training had been fitted in to his busy work life as director of Croydon based Wings Transport Ltd and was mainly done at night and weekends. The biggest challenge was the many hills on the route and as the penny farthing has no gears and a fixed wheel Mark’s fitness as an extreme ultra athlete would see him climb all of these gradients with grit and determination.